This is absolutely stunning! I'm looking forward to seeing the rest of the year's work. Beautiful beading. The colors are very cheerful. I like the way you extend the piece beyond the square. Your work is beautiful, exotic and rich. Beautiful, vibrant colors! I also like the way the beads are "escaping" from the square. Can't wait to see more! 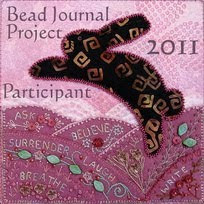 Beautiful beading work - I love your palette. I also love the colrs, very, very pretty. I'm with Carol appreciating the way your beading went beyond the borders of the square, very unique! How did you bead the curved outline of the larger leaves. That is one technique I just can't seem to master. Can't wait for next month. What a nice piece! I especially like the way you went outside the borders. and they are my favorite color Orange! 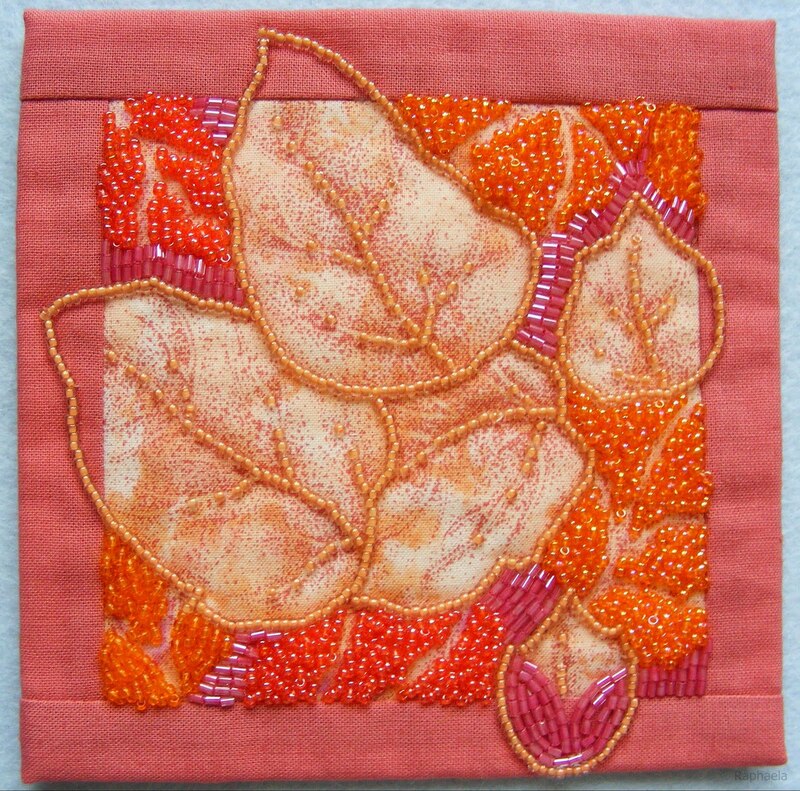 Very nice and I especially love the material you have chosen for the leaves. I wouldn't think to add pink with orange but it looks great. Thank you for sharing.